The east wing of the National Gallery of Art is one of my favorite places in DC—particularly because of the Matisse Cut-Outs. 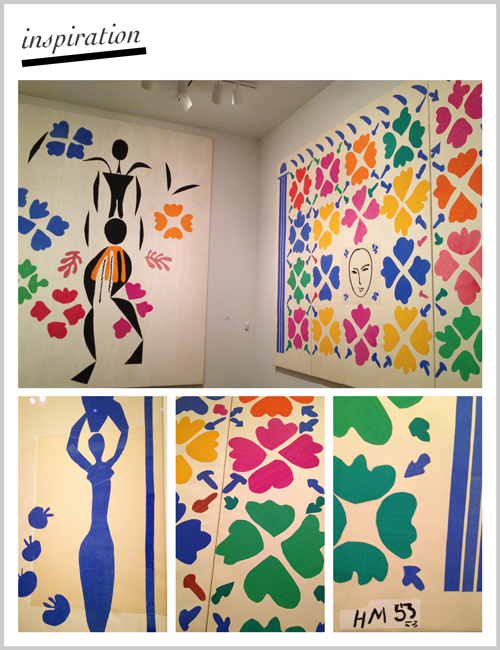 A bright assortment of colors and shapes, the cut-outs were created by Matisse after an operation left him unable to paint. Inspired by African masks and tiles from La Alhambra, the grandiose canvases always brighten my day.